This article first appeared in Unlisted & Unlimited, The Edge Malaysia Weekly, on February 9, 2015 - February 15, 2015. Toh Sue Bee, founder of SB Group, was diagnosed with kidney disease in 1990. He was very sick and the thrice weekly rounds of dialysis wore him down to a shred. He lost his fighting spirit and no longer wanted to be in business. So, he decided to sell his business to industry giant Loytape Industries Sdn Bhd, which dominated the tape market in Malaysia in the 1990s. 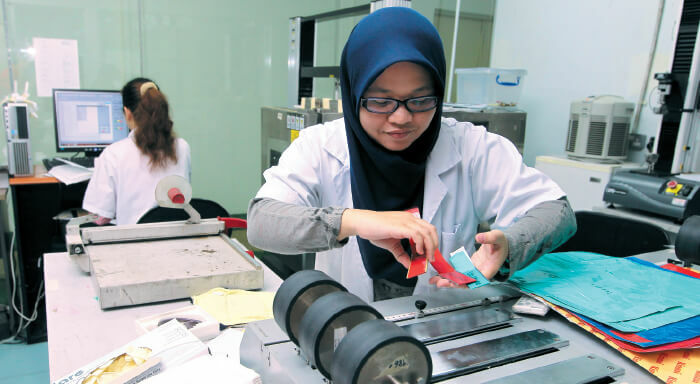 Loytape was run by the late Tan Sri Ngan Chin Wen, who was something of a legend in the industry and an acknowledged leader in the Chinese community. However, Ngan didn’t attend the meeting to discuss the buyout. He sent his general manager. To add insult to injury, he offered a very low price for the company. Toh found this so offensive that it rekindled his flagging spirit. “We’re going back into battle,” he told the general manager before flying off overseas for a kidney transplant. He came back rested, and soon was as good as new. Spurred on by the perceived insult, Toh was determined to match, if not overtake, Loytape as the foremost tape company in the country. Today, SB Group believes it is the largest tape company in Asean, exporting to countries in the region as well as China, Japan, South Korea, Australia, India, the US and Europe. The company’s turnover last year was RM260 million, 81% of which comprised overseas sales. 1993 was a watershed year for the tape industry. 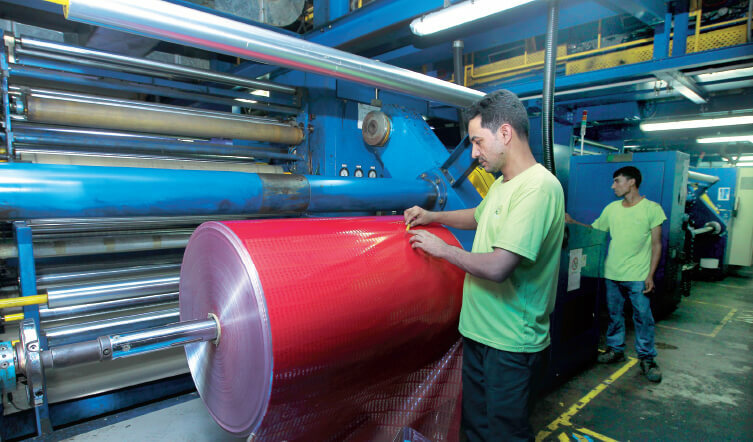 Many local companies became aware of the huge potential offered by China, Loytape being one. In fact, Ngan entered into a joint venture with some Chinese companies and set up three tape factories there. This was also a defining year for 20-year-old Toh Chee Hui. When his father approached him with the idea of taking the helm at SB Group, he was pursuing a business degree at Sunway College. This presented him with a dilemma: should he complete his studies and let his father sell the business or should he take up the cudgels with his father and fight to make company No 1 in the industry? “I decided to join my dad. Before I started work, he gave me shares in the company, a BMW, the title of manager and RM700 a month. I managed to survive on that because I practically lived at the factory,” Chee Hui recalls. Toh senior could be very persuasive when he wanted to. He told his son he would only stick around for two years to guide him, after which Chee Hui would run things on his own. Chee Hui thought it was a good proposition. After all, how many people can say they ran a fairly large company in their early twenties? “I found out later that it was a trick,” he says. Having successfully lured his eldest son into the business, Toh moved the company’s factory to Seri Kembangan in 1995. The new place was three times larger than the one SB Group had rented in Segambut. Clearly, he was gearing up for battle. Chee Hui may have been the “manager”, but he was working beside the production staff, operating the machines and packing the products. Business expanded so quickly that the larger space was filled with new machinery barely a year later. But two years on, the Asian financial crisis hit and the business suffered accordingly. Two things remain fresh in Chee Hui’s memory about the financial crisis. First, the company had decided to exercise credit control. Before this, there was no clear policy and customers could take up to a year to pay. But this time, they were required to settle payment within two months. The second thing he remembers was a question his father asked him. “He wanted to know whom I would prefer to run the country, Mahathir or Anwar,” he says. The Asian financial crisis had not only shaken the economic foundations of the country. It had created and widened the rift between then prime minister Datuk Seri Dr Mahathir Mohamad, who favoured lowering interest rates to give companies more breathing space in a time of trouble, and his deputy Datuk Seri Anwar Ibrahim, who favoured the opposite. As finance minister, Anwar had instituted International Monetary Fund-like measures, such as higher interest rates and having loans declared as non-performing after three months of non-payment, instead of six months previously. Chee Hui says, “I told him I liked Anwar, but I also liked Mahathir. However, I would choose Mahathir. “He asked me why, and I said because Anwar hadn’t proven that he could lead the nation, but Mahathir had. He had developed our country in the 1980s and showed his determination and spirit in the earlier Umno party power struggle. There could only be one answer. Toh was 49 years old, while Chee Hui was 25 and still green. Both were hot tempered and had different ideas about how a company should be run. But from that day, Chee Hui stopped locking horns with his father and focused on the best way to carry out his decisions. Toh’s experience and savvy came through. In 1999, just after the peak of the crisis, he decided to take a loan from the bank to increase the company’s productivity and exports. This eventually turned out to be the leading factor in SB Group’s success. “My dad was the king, and the company was his kingdom,” Chee Hui says. It was not until his father passed away in 2006 that he finally took the reins. By this time, his sister Faith Toh Mei Mei and brother Toh Yee Sing were also part of the company. Although Chee Hui had effectively been groomed to take over the company from the time he was 20, it was not an easy transition. His father had called all the shots, and he was not the “king” his father had been. Even though he was the oldest and most experienced family member in the company, there were two other family members with their own ideas and opinions to contend with, not to mention the other shareholders and senior management. This turned out to be a huge challenge for SB Group. Many companies fail at this point because the patriarch did not put in place a proper business succession plan and there is infighting between family members. Chee Hui admits it was not all smooth sailing. There were disputes between him and his sister, who was then in charge of sales. These turned into heated arguments. They banged the table and shouted at each other. Sometimes, things got so out of hand that they burst into tears. Something had to give, so Chee Hui decided to bring in outside help. He hired a consultant. “The consultant asked me what role I thought I was playing when I was talking to my sister. Was I speaking to her on behalf of my late father or as her brother? Or was I her friend or shareholder? “Then he said something that really pierced my heart. He pointed out that I was not her father and I should not speak to her like that, even if I thought it was for her own good,” he says. This opened his eyes and for the first time, Chee Hui saw his mistake in dealing with his sister. The consultant suggested that he speak to her the way a managing director would when addressing her as sales manager, and when talking to her as a fellow shareholder or as a director during board meetings, to treat her accordingly. It worked. To Chee Hui’s surprise, his sister stopped fighting with him and even acknowledged him as the leader of the company. As head of sales, she would give her opinion on the issue at hand, but the final decision was always his. If she wanted to bring up something, it would be done at shareholders’ meetings or family gatherings. This adjustment took almost a year to achieve. Bringing in a consultant was only the first step. Chee Hui realised that the company needed to be professionally run at all levels. So, he instituted a 10-year corporate transformation programme to provide more structure to the organisation. The transformation exercise was extremely demanding. It required a lot of preparation and determination to see it through because it involved a complete shift in the company culture — its daily operations and the way it dealt with customers and suppliers, among other things. “We are now into our fourth year of the programme and some of our colleagues have expressed doubt that it really helps. I told them to be honest with themselves. Our company has in fact improved. Many things which were not clear in the past are clearer now,” Chee Hui insists. He says that before the transformation exercise, SB Group did not have a clear vision, long-term plan or complete company structure. But now, it is on its way to realising all of the above, which will help it achieve its aspiration of becoming the No 1 tape producer in Asia. The company also aims to make a clearer distinction between ownership and management. Towards this end, it has opened up top management spots for employees (who are not family members) and increased the number of directors on its board. The process has taught Chee Hui a lot. He is aware that corporate transformation programmes have to be handled properly because one company he knows went bankrupt trying to institute a similar programme. That is why he thinks one should be well prepared and understand the true relationship between cause and effect before taking any action. “I once read a story about someone who was very fond of a tree. He took great care of the tree, trimming off all the climbing plants so they could not take root and share the tree’s nutrients. He thought he was doing the tree a favour. Then one day, a strong wind blew the tree down, damaging a nearby house.